CR architecture + design announced today that Kelly Gaddes has been promoted to lead the firm’s hospitality and interior design practices as Vice President, Hospitality. Gaddes played an integral role in CR’s decision to enter the interior design market segment in 2013. She has since gained client leadership responsibilities and broadened her expertise with iconic national brands across various market sectors. Prior to joining CR, she served in a lead design role specializing in hospitality and restaurant design for over 8 years at a local design firm. As Vice President, Hospitality, Gaddes will continue to leverage CR’s hospitality expertise through her industry knowledge and eagerness for developing key client and industry partnerships. She will be responsible for driving a standard of design excellence and client service across CR’s hospitality teams, while upholding the firm’s mission to create extraordinary places that build enduring value. Gaddes’ promotion from within to Vice President marks another in a series of planned moves. CR continues to positively reinforce their infrastructure to serve a diverse client base, while showcasing a top-tier leadership structure. 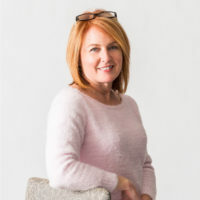 A graduate of the University of Cincinnati’s DAAP program, she is passionate about helping local students achieve success in the hospitality industry and actively involved with NEWH (Network of Executive Women in Hospitality). After leading the formation of the Cincinnati Regional Chapter in 2013, she now serves as the local chapter’s Steering Chair and sits on the national Board of Directors as the Fundraising Director. At CR, we create spaces that authentically reflect our clients and creatively achieve their goals. For 36 years, we’ve gone where our experience leads us and where we can make an impact. Today, our clients engage with architecture, interior design and MEP professionals across offices in Cincinnati, Dallas, Denver, Minneapolis, Seattle and Washington D.C. Staying rooted in our approach to quality design and innovation, we’ve developed a national portfolio of projects in the retail, hospitality, government, higher education, K-12, commercial, housing and senior living markets. By infusing the innovation and wisdom of our people, we create extraordinary places that build enduring value for our clients and the communities they serve.